With the sun emerging and spring finally on it's way, it seems even London's Exchange Square will be in blossom as it hosts the experiential art installation, Sense of Space. 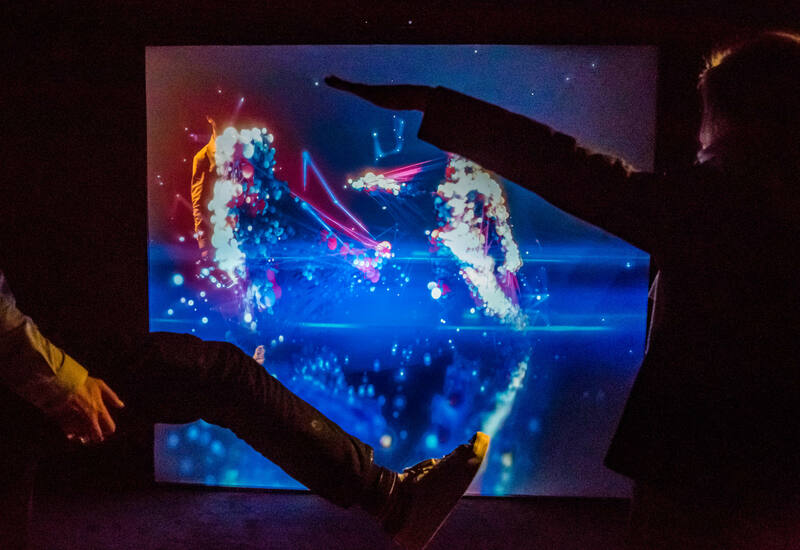 Sense of Space, or SOS, describes itself as a “sensory experience of mindful art.” It hopes that the free art experiences taking place at Broadgate will offer an escape from the hustle and bustle of the UK’s capital. 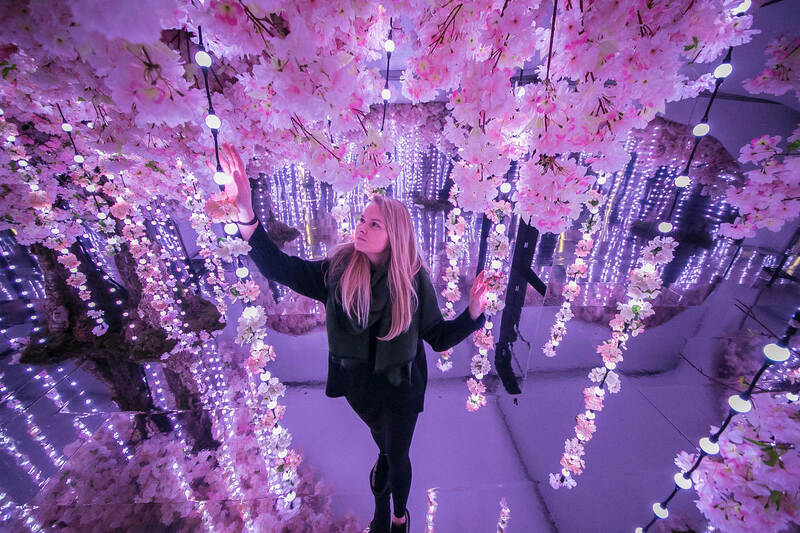 Visitors to the pop-up installation will be able to escape into various experiences, including walking through the peaceful surrounds of a Japanese Zen studio, wandering within a garden of blossom trees or transforming their actions into art. The exhibition will be divided into four rooms, with each one designed to activate to activate participants' different senses: The Doodle Room will feature a maze of squiggly cartoon artwork; the Motion Box is a blacked out room that lights up in response to visitors movements and the music they chose to play; the sounds of nature and floral scents in the Infinity Garden promises to invigorate the mind, and the tranquil Zen Studio is Sense of Space's relaxation zone, featuring calming music and comfy seating. Two renowned London artists will also be on hand to demonstrate their talents. 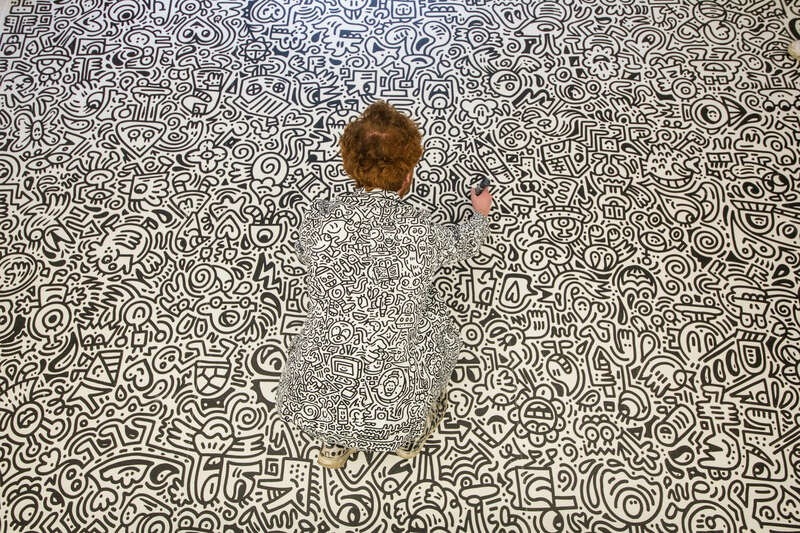 The first is social media sensation, Mr Doodle, who has turned his compulsive drawing habit into a career. Mr Doodle will be working live in the Doodle Room from Thursday 5 to Saturday 7 April. Meanwhile, graphic designer Supermundane is known for his bold use of colours and striking geometric patterns. His mural marks the entrance to Sense of Space. He has previously worked as the lead designer for several independent magazines, and during the pop-up exhibition, he will be hosting two talks discussing his artistic concepts (on Tuesday 10 and Wednesday 11 April). Alongside the month long art exhibition will be a range of events, from yoga classes to silent cinema screenings – and all free. For more information on Sense of Space and its events, click here.